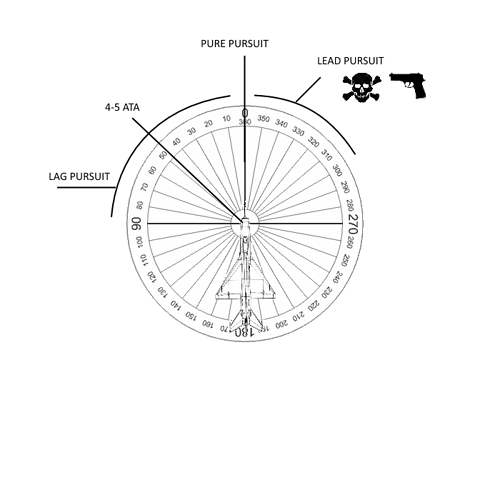 In the previous parts of this series, we discussed tactical formation as a tactic and Fridge and near_blind recounted their adventures while applying this knowledge in a combat mission. Here we have the debrief that followed their mission. You can read Part 1: The Tactics here and Part 2: The After Action Report here. Wheels chocked, shutdown complete, canopy cleaned and locked, shadows of the pilots retreat down the flight line as at least one humbled nugget heads to the barn while the crew chiefs count holes in their airframes. It is time to debrief. You can’t take things personally in a debrief. Not if you want to get better. Not if you want to not get your wingman, lead, or entire flight wiped out in the face of the enemy. This is where the lessons are studied after the crucible of the merge. 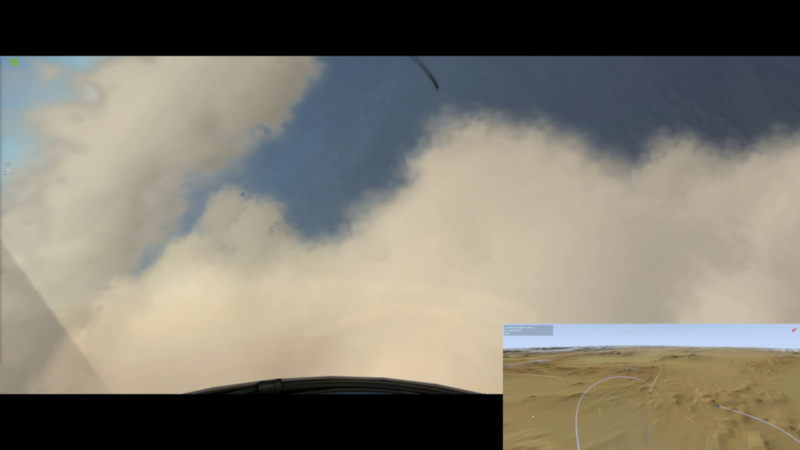 Note: this engagement was intended as a training flight for a pair of virtual pilots with divergent ACM/BVR skills. In a typical multiplayer environment, someone has a higher level of knowledge, faster reflexes, and/or a more natural feel for the flight and fight than the others. This does not mean that the less capable player should be relegated to the fringe of the fight. This is not real life, and the slow OODA-loop guy is not going to cost you your life. Everyone learns at a different pace and the best communities show patience with their players. It is, arguably, more important to learn and fight as a team than it is get individual kills and success. That newbie, once you train him or her, is going to save your bacon one day. After reading near_blind’s side of the encounter I realize that I have a lot to learn and also that I have a great environment in which to do that. The first part of the flight went pretty well. 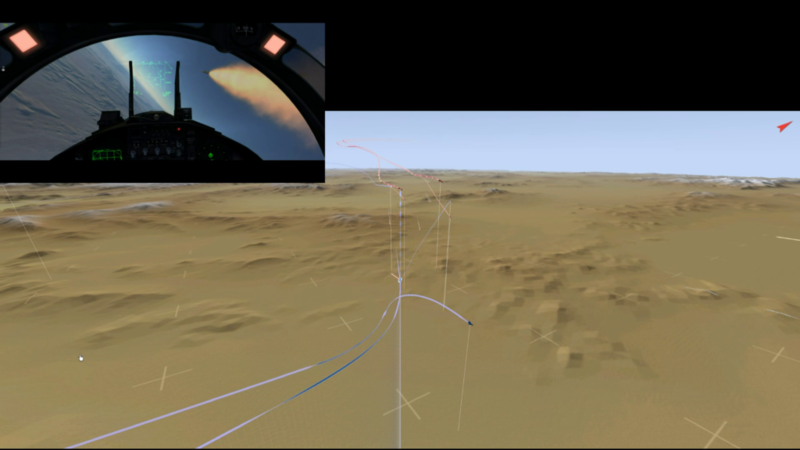 Flight lead and wingman were able to keep position and maneuver into tactical formation at the appropriate time. The transition from the en-route formation to tactical line-abreast was a little sloppy, but well within where I wanted to be after only practicing this once before and in a non-threat environment! Tactical formation worked well. 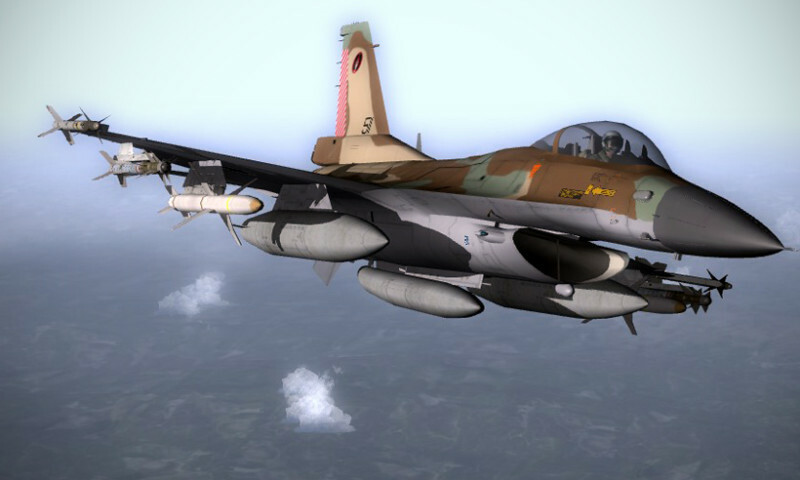 The lead/wingman pair were able to: focus as a group; target a single designated threat; and maneuver and kill the threat as a group. 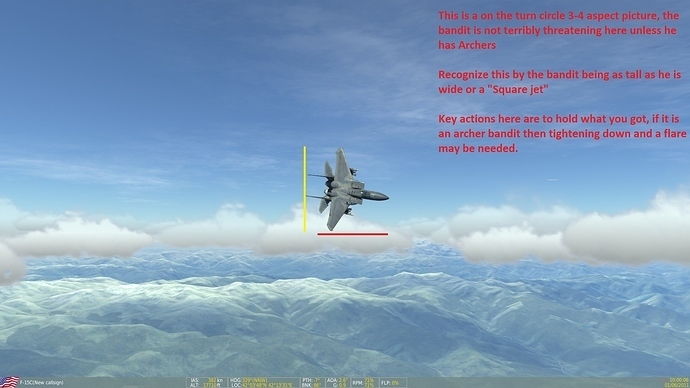 The separation between flight lead and wingman was tighter than it should be, but given some additional practice, familiarity, and confidence, the formation will open up to proper spacing. The initial engagement went well. The first salvo had the intended affect and the flight was able to maneuver properly for a second shot. Second shot went well. Tactical Question: Should the wingman (me) have turned with lead to the right instead of turning left? My opinion at the time was that I made a mistake in turning away from my lead. This made rejoining with my lead difficult as I lost sight of him turned a rejoin into a two circle fight. After more reflection, it allowed our element to turn back into the MiG-29 in a pincer move – meaning that both ships in the F-15C flight had adequate maneuvering room to engage the remaining MiG-29 at will. This turn was also into the forgotten-about MiG-21 flight. 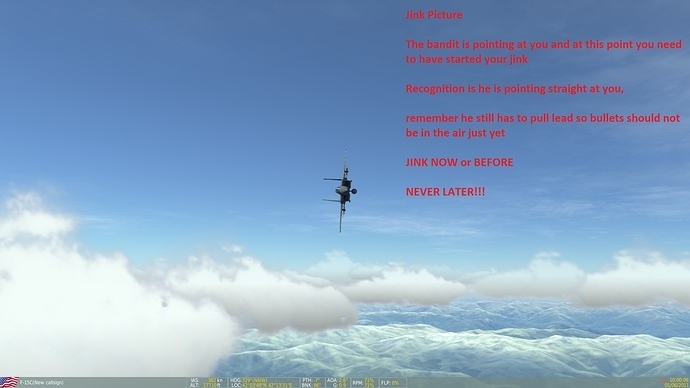 Fridge continues his turn left into the forgotten about MiG-21 threat. Closure and maneuvering with the burning MiG-29. The overshoot robbed the flight of time, allowing the MiG-21s to close the distance and get into the fight before the F-15C element could regroup and commit. … by the time he commits he is already too fast, turning too tight, set up to overshoot instead. Number 1, you went early. 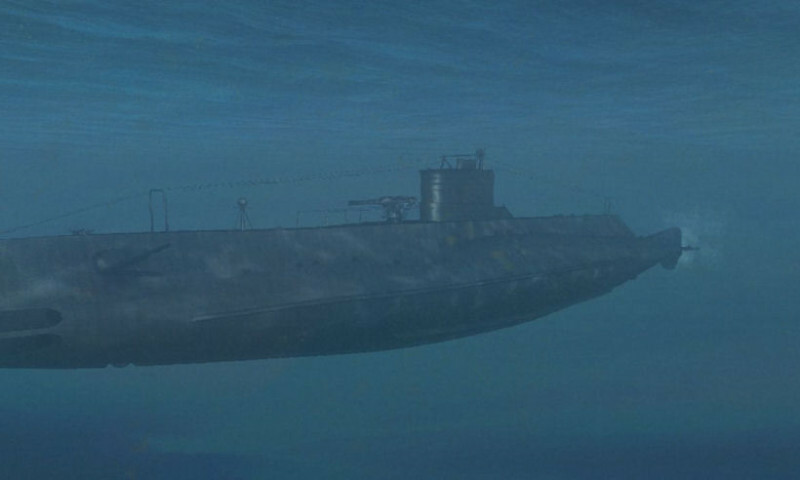 Wait until he is about thirty degrees low before you turn and pull, you can see this on your radar, or about the time he is about even with your rudder pedals. Number 2, you kept your speed throughout the dive and started fast, this led to a massive overshoot. One of those rules of thumb that actually work: if the bandit is below you and you are doing a pure vertical conversion, you wanna be at the same speed as him. You will gain speed in the dive and in your position you had the energy to just pull to bleed the speed as you go around the corner. 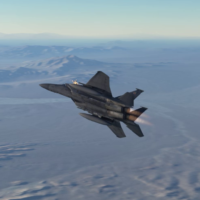 Also other general rules of thumb for vertical conversions: you wanna have more than 10 to 15 KFT altitude above or below the bandit to give yourself room to turn. If you do not have that, then turn obliquely and do not be afraid of popping the boards (speed brakes) to keep your closure under control. Now I do not know if you were turning at him with visual or based off the radar lock, but a few tips and techniques for getting this stuff done never helps. In the visual arena it’s just make it happen, but be aware of your closure. 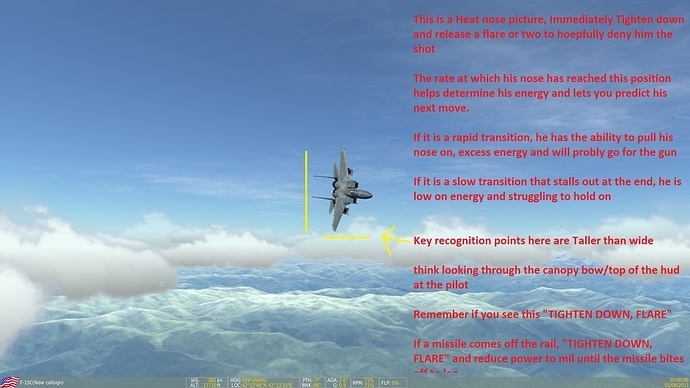 Ignoring the fact that I lost my lead after the MiG-29 fight, my thoughts are that I was slow in rebuilding the tactical picture. I had tuned out AWACS at that point. 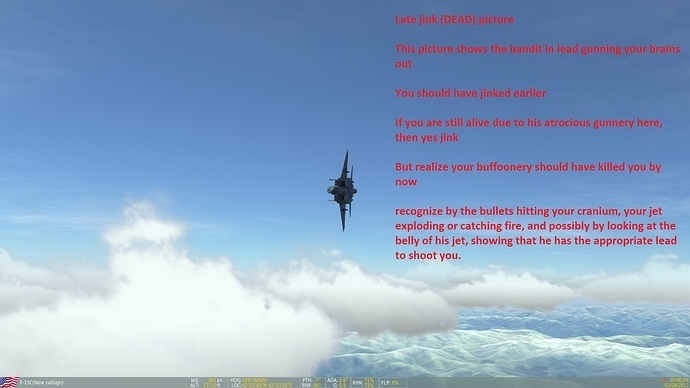 I knew, roughly, where near_blind was but 1) did not realize that he had re-engaged, 2) did not realize how close the MiG-21 flight was, and 3) did not start working the radar as soon as I made the turn back toward near_blind, shortly before taking that missile shot in the belly. There were a number of factors that, had I been listening to them, would have allowed me to get back into the fight. Lesson learned: if you know there is someone close and dangerous, chaff and flare dispensing will be your friend. As part of this mission, I recorded in-game video from my perspective. I was able to sync this up with a recording of the mission data taken by Tacview. In putting the video together, I couldn’t decide which should have the focus — the in cockpit video or the Tacview recording — so I made one of each. Tactical formation flying isn’t for everyone, but it’s easier to learn and apply than airshow formations, improves situational awareness, mutual support, and is a powerful force multiplier … when it’s done right, and you can’t do it right without practicing. So get out there and practice. As you can see from our experiences, you don’t have to be perfect every time – you just have to learn something every time. Nice work! I do have a question for the experts though! It’s something I’ve been pondering about for some time but it popped in my mind again when I saw @klarsnow mention 4-5 ATA. 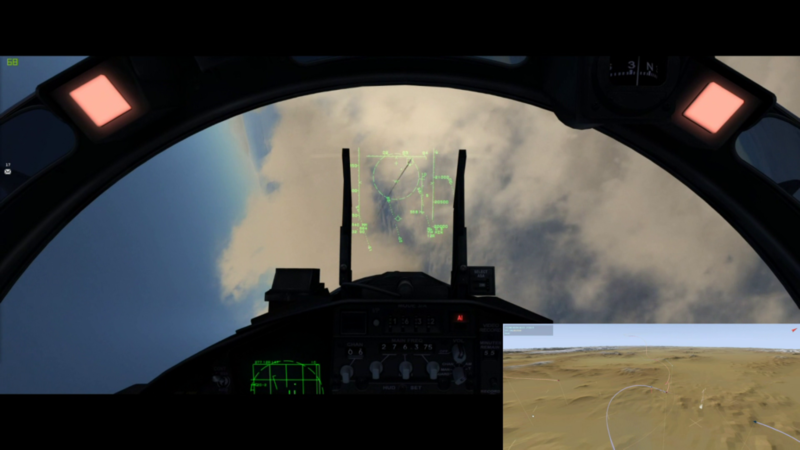 On the top-left of the VSD and bottom-right of the HUD you sometimes get aspect information. However that info is sometimes accompanied by a number. I think things like 8R or 20L, I wonder what these mean? Does that mean I am looking at his 200 degrees if his nose would be 000? 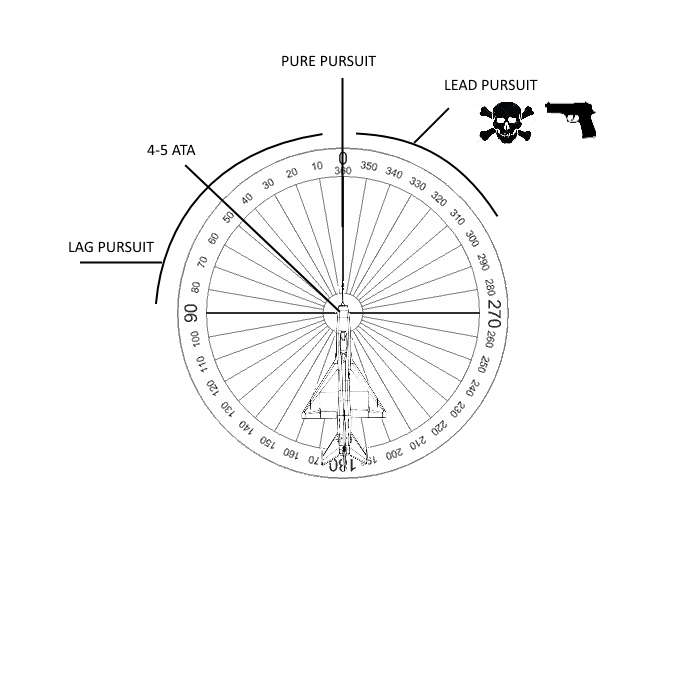 It is shown on page 68 of the manual but the meaning of the numbers is not described. Also, what does ATA mean? Antenna Train angle, the angle from his radar/nugget to you. 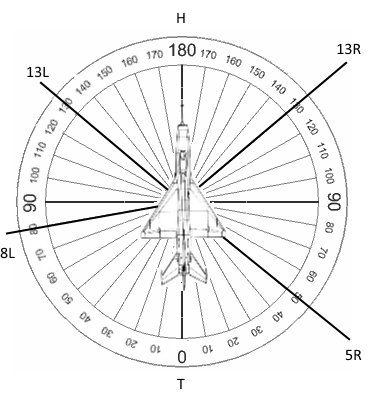 And yes what you are seeing in the hud is aspect there 8R meaning 8 Right, or 80 degrees right. Which means you are looking at the right side of his aircraft, which is pointed 80 degrees off of yours. ATA is measured from the nose of the aircraft. 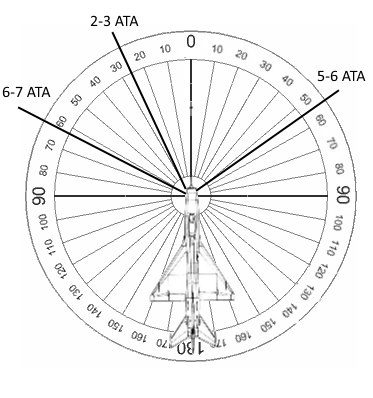 So a 0 ATA would mean directly in the center of your canopy, and 180 degrees ATA would be looking straight behind you. Aspect is measured from the tail, so a 0 aspect would be looking straight down his burner cans, and a 18 aspect would be looking straight at his nose. 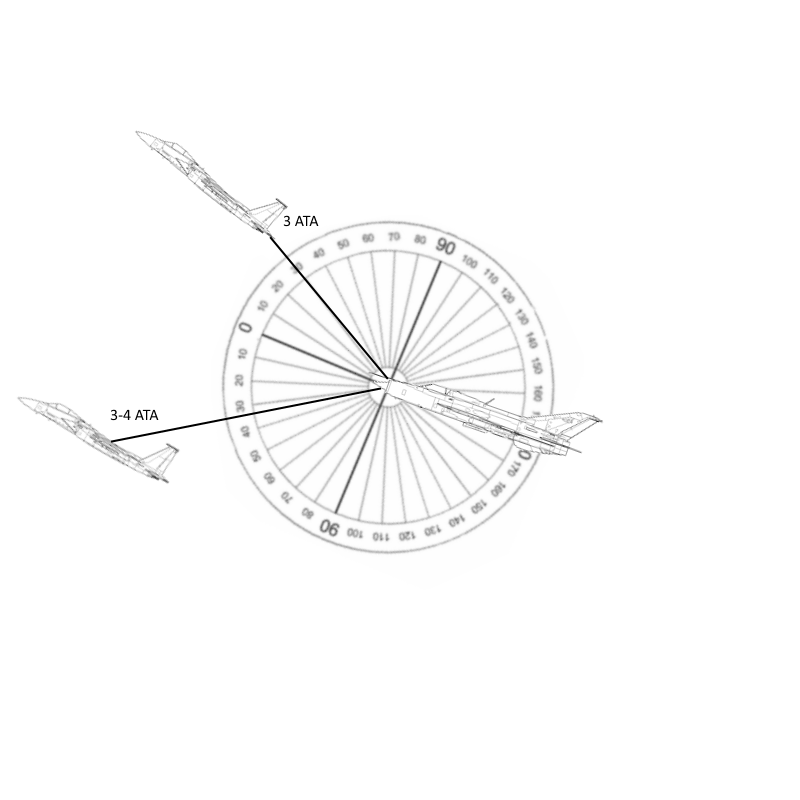 The key thing when you are maneuvering and in my descriptions is we shorten it to a 4-5 ATA or aspect, and don’t say 40-50mainly because I can tell you the difference between a 40-50 ATA or aspect, but the difference between a 40 and a 45 is very very difficult to see. So we just keep it simple, and everything is understood to have a zero after it. Thanks a lot for the info, @klarsnow! Can you confirm if my visualisations are correct? 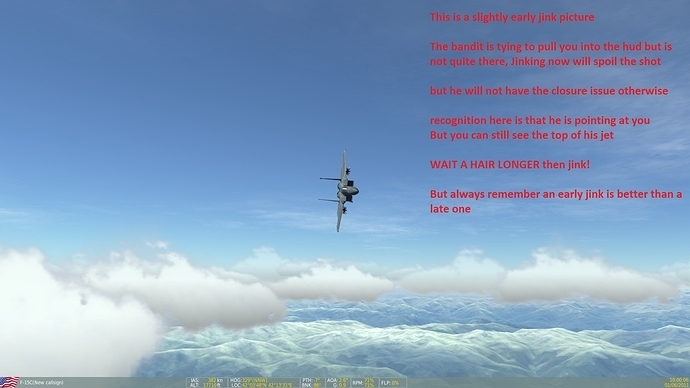 If the bandit was on your left wing instead. Would you use 33-34 ATA or recalculate to 2-3 ATA? EDIT: Wanted to add that I understand that 4-5 ATA does not mean 045 but somewhere in the 40-50 range. 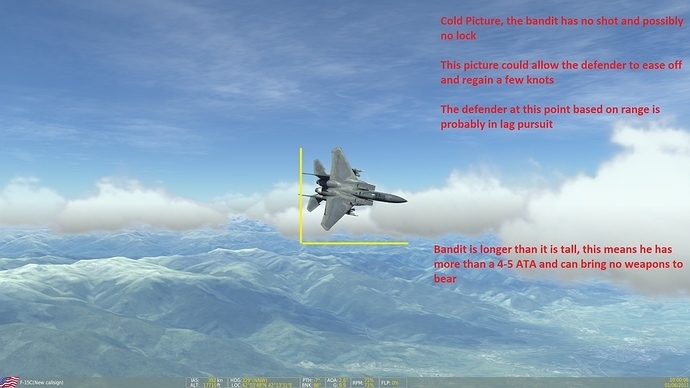 It does in the F-15 though. Although thanks for your insights once more. It’s from the manual alright. 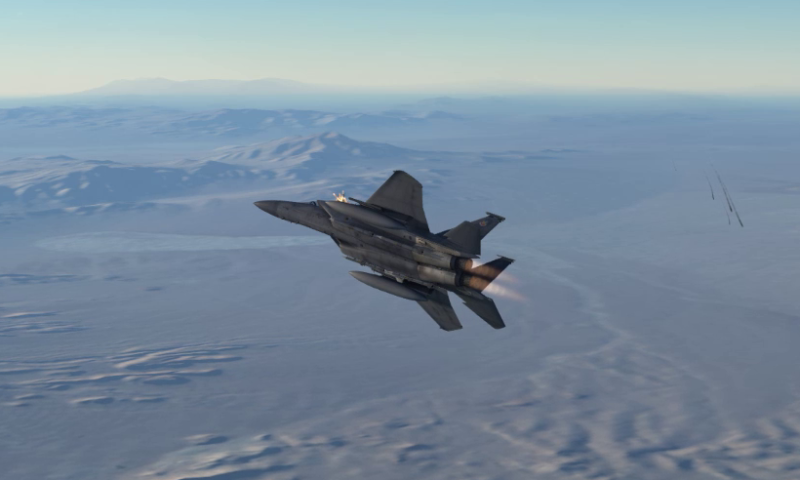 I honestly don’t know what it was like ingame as it’s been ages since I flew the F-15. I don’t got PC acces for a few days so I can’t check. The manual was rewritten when Belsimtek did the PFM for her. However it’s possible the image was old or something. I did some extensive image googling and I can only find imagery that supports your arguments. All these images are from older versions of FC. But I wouldn’t understand why you would want it to go the full 360 degrees either. So where I put 20L in my image, it should have said 16L right? The manual actually confirms your statement in the TWS chapter. Anyway. Still a lot of thanks for the info. While I understood aspect those numbers where alien to me. So I learned something today. Thanks a lot @klarsnow. I hope you don’t mind I sort of hijacked your topic @Fridge! I updated my visual representations. If @klarsnow says I got them on the money now. I’d like to add them to my F-15 guide I’m hosting on another site. 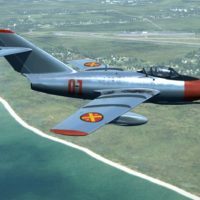 Don’t worry, it’s not a Mudspike competitor It’s a website about DCS world in dutch. However, I’d be happy to translate it and have it here on mudspike as well! 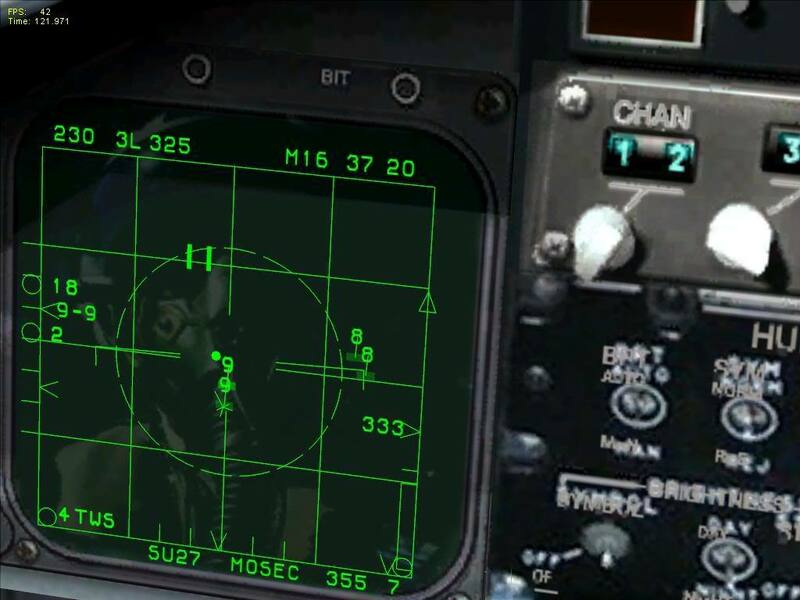 It’s just a thorough guide on all the things about the avionics you’d want to understand for combat against atleast AI’s. What does @everyone think? I’ll provide a link, you can skim through the images for a bit and tell me if you’d like to see that in English @Fridge I did a section about PRF too with visible examples. Now back on topic, my visual representations. 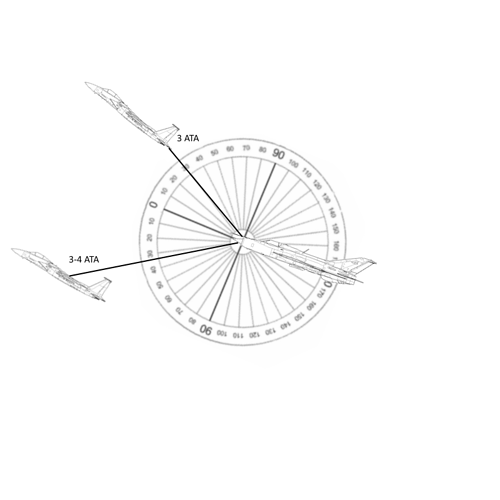 ATA can be calculated in either horizontal, vertical, or any combination there-of. It can occur in every possible geometric plane. Okay thanks! Being able to quantify things does help bring understanding. So that’s why I think it’s valuable. You surely won’t start wining fights just because you can ratify ATA or something like that but the knowledge adds with what you already know. Just wanted to add my thanks to Fridge and company for publishing these articles. Also very much appreciate the expert commentary. I’ve been getting up to speed with the F-15C lately in order to get through the DLC Red Flag campaign, so the timing is perfect. Love this aircraft and like everyone else, wish that it had the full DCS treatment. Cheers. Just wanted to add my thanks to Fridge and company for publishing these articles. Also very much appreciate the expert commentary.